Microsoft plans to launch the Xbox One S All-Digital edition, a new version of the company’s Xbox One console that forgoes the inclusion an optical drive, as early as May 7th, 2019 in Canada and other markets across the world, according to a new report from Windows Central. Windows Central shared photoshop mockups of the upcoming console using documents it obtained from a source. 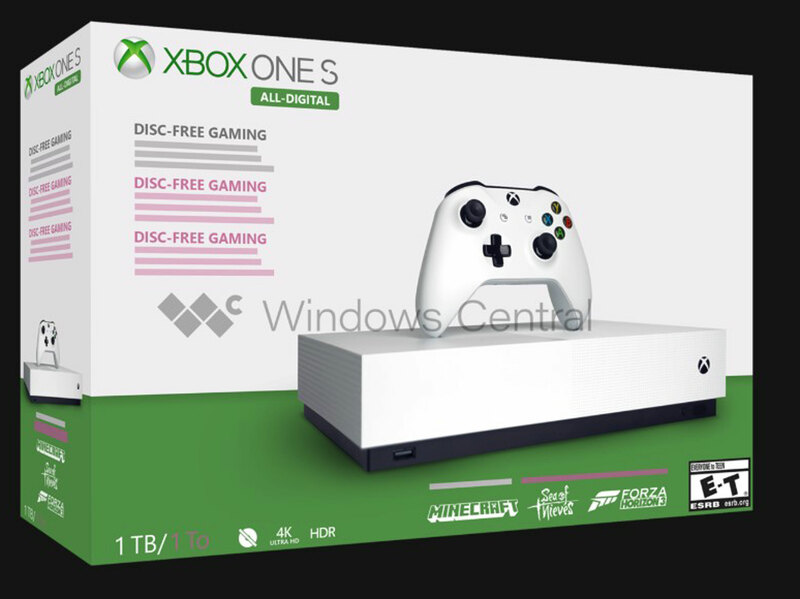 Minus the fact that it’s missing an optical drive and accompanying eject button, the new console looks almost identical to the Xbox One S. With a 1TB hard drive in tow, the console will reportedly come bundled with digital codes for Forza Horizon 3, Sea of Thieves and Minecraft. Microsoft will reportedly announce the console sometime in April. No word yet on exact price, though Windows Central notes it’s likely to be the most affordable Xbox One Microsoft offers.